Freezing rain pelts down from the ominous clouds above you. You check the artificial horizon to confirm the attitude of your aircraft as you feel the turbulence buffet your aircraft. Suddenly a wind shear alarm pierces through your headset moments before your aircraft plummets 500 feet. You apply power to stabilize your aircraft. Barely a quarter mile from the runway you finally see the dim glow of the threshold lights begin to push through the gloom. Your aircraft buffets even more as you feel the last vestiges of the wake turbulence from a departing 737-800 in front of you. You flare and feel the main gear touch down – hard – on the runway followed by the nose gear. You apply the brakes, a little too much and you feel the aircraft beginning to skid. A little reverse thrust and backing off the brakes. Then finally you come to a halt. Welcome to Active Sky Next for Flight Simulator X: Steam Edition. Active Sky Next: Steam Edition completely overhauls the way weather is managed in the simulator. Now, conditions are modelled to a degree of detail that is in some ways quite frightening. There is a lot in there! I won’t fill up this article detailing all the features of ASN, chances are if you’re reading this you’ve already got it. My purpose for this article is to present what differences may exist between the nominal release of this package and its Steam version, as well as presenting some more in-depth details on how to get the most out of your simulation experience when combining with ASN. For a basic get-started guide video, click here to watch part one which includes installation instructions. So, what are the differences between the boxed FSX version and Steam Edition? The short answer is: virtually none. The actual fixes and the way it injects into your simulator are identical. The scalable settings the same, the overlays, the gauge the same. There are really only two differences: Networked compatibility and Alternate simulation link. ASN:SE works ONLY with FSX:SE, and due to the way it connects and installs in the same directory as FSX:SE it cannot be used across a network and only on the simulation PC. These are tiny differences that will have virtually no impact on your experience, and indeed make installing and running ASN easier than in the past. So now that we have the differences (rather lack thereof) out of the way, what do we do to get the most out of ASN? For this question we have to start with some basics and the first is: How do you use your simulator? This may seem to be an innocuous question, but when it comes to ASN it is vitally important. With the creation and implementation of a wide variety of weather phenomenon and effects one must consider how one uses FSX:SE. For that I am going to break it down into two distinct categories. Do you a) use VATSIM/IVAO or similar environments to operate and be a part of “real world” aviation experiences (flying passengers/cargo, etc) or b) use multiplayer and enjoy the social camaraderie that comes with it? If you fall into the first category then there is one section in settings that you should leave enabled and that is Wake Turbulence. Anyone who has ever listened to ATC would have most likely heard the phrase “Caution Wake Turbulence”. As an aircraft moves through the air, it displaces that air and it takes some time for that air to return to its natural state. This is why separation is important (especially when aircraft are landing and taking off) so it doesn’t interfere with the safety of another aircraft. With that, the size of the aircraft (and therefore the size of the displacement) can vary significantly. If you fly into disturbed air, your aircraft will behave in all sorts of unusual ways which could prove quite disastrous! Caution Wake Turbulence definitely adds to the realism of your simulated experience, but for those who like me fall into the second category it can alter the experience, so I generally turn this setting to zero. Now let’s look at some cool features! Pilots around the world file a flight plan and get their weather info for said flight plan, and ASN is a great way to bring that to your simulation experience. Now you can either have ASN pull the flight plan from the one you load in-sim or you can input your own. It will then load the associated weather at various points throughout your planned flight including winds, precipitation, meteorological hazards and load tips for you. When I do have a destination in mind and file a flight plan for such a trip, I used to load it directly to FSX and have ASN pull the data from there. As I have become more accustomed to ASN, now I load my flight plans into ASN first then into FSX. 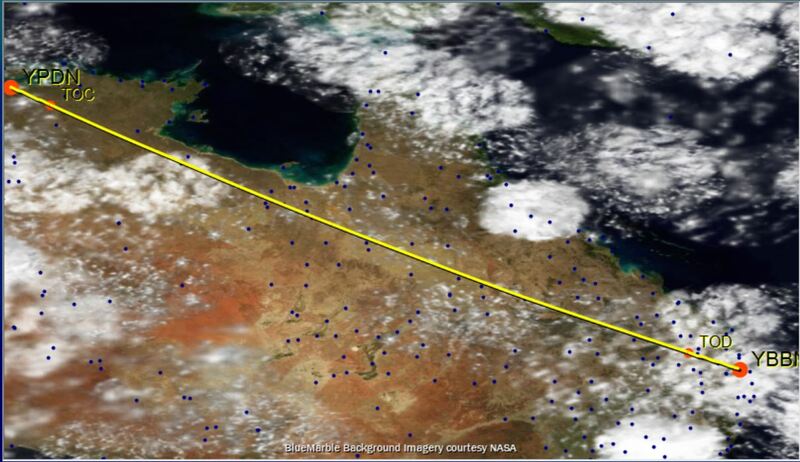 The reason I changed my tune is because of the tools that ASN have that calculate en-route conditions as well as their impact on my flight. This enables one of the notable features of ASN: an interactive Voice briefing summary of the flight with expected weather conditions throughout the flight. 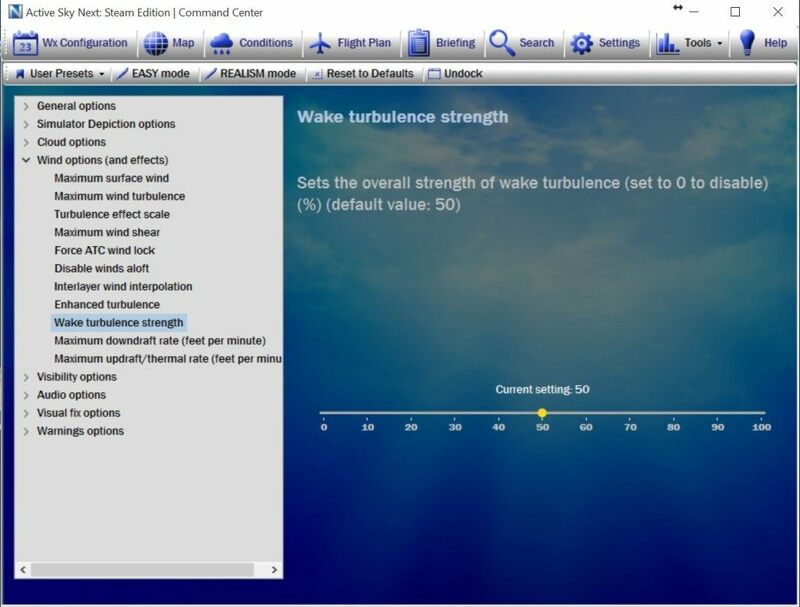 The weather engine is so well crafted it will also review your nominated cruising altitude and suggest a more optimal one if there is one available. From there, export your data to a PLN file and you’re ready to go! Another awesome element of ASN is the XGauge. 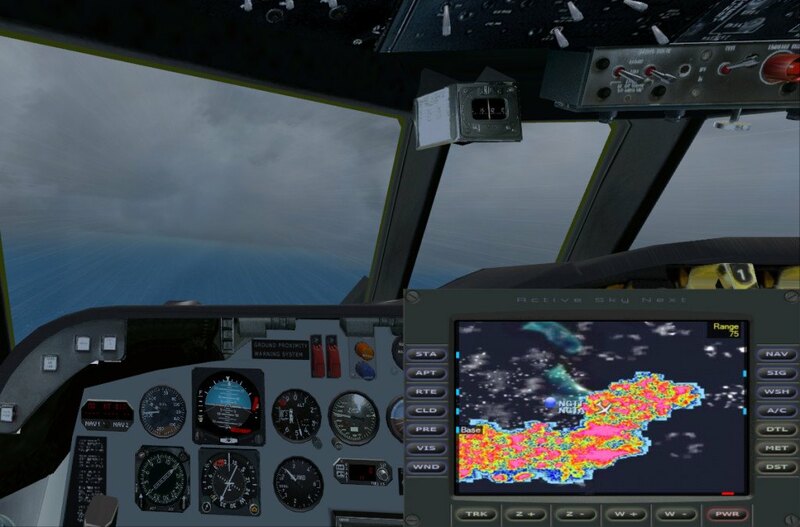 XGauge allows you to place a Weather Radar device into any aircraft in FSX:SE. This little device is essentially a miniaturized version of the ASN map with all the features (precipitation, cloud density, aircraft track, flight plan, current METAR conditions, Wind Shear Alert and more) that is right there in the cockpit. If you do not have a second monitor with ASN visible, XGauge is your friend! Possibly the best thing about this is that it is so simple to install. 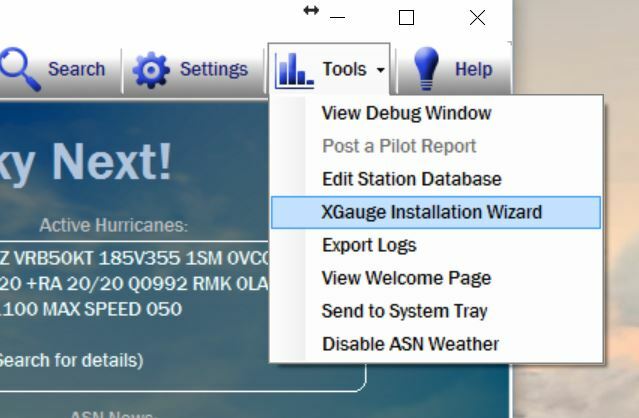 From within ASN:SE, simply choose XGauge Installation Wizard and follow the steps. This will enable you to then bring up the Weather Radar as a pop up menu in your aircraft. Some 3rd party aircraft even support the XGauge as part of the virtual cockpit, so now you can have the power of ASN and its weather capabilities right in front of you while you fly! Speaking of weather conditions, automated weather stations broadcast on frequencies so pilots can tune in to determine the weather at a selected location. ASN brings this element of real world aviation to life through its input into the communications system of FSX:SE. It ensures that default ATIS system will reflect accurate weather conditions as injected by ASN, as well as offering you the ability to get your nearest weather report by tuning your COM radio to 122.00. If you have a flight plan active from ASN you can also use 122.02 for conditions at your destination, and 122.05 to hear the full voice briefing discussed earlier. There is one final element of Active Sky Next I want to highlight. As a pilot who wants to get the most out of their ASN experience, one must take a holistic view of your simulation setup. Whilst ASN is a small program its impact is huge. By delivering the outstanding representation of weather phenomenon that it does, it can also place a strain on your system. It is very tempting to push everything to maximum (I get it, I’ve been there myself) and if you are using default FSX:SE textures you may be able to get away with it. However if you are using third party textures (Such as REX4 Texture Direct) you may find yourself glitching, lagging and having a really bad time. Remember that simulation is about balance: use 10 cloud layers instead of 18, or use 1024 textures instead of 4096. This is something that will be unique for every virtual pilot, but I guarantee that patience and forethought will result in an outstanding experience that you will never forget. Well that wraps up my look at some of the more advanced features of Active Sky Next for FSX: Steam Edition. Until next time virtual pilots, Safe Skies!